The Connecticut River is one of the most remarkable ecosystems in New England. Not long ago, large sections of the river were collectively referred to as “the best landscaped sewer in the nation.” Fortunately, over the years it has come full circle to become a high-quality, clean and fully-functioning ecological system. 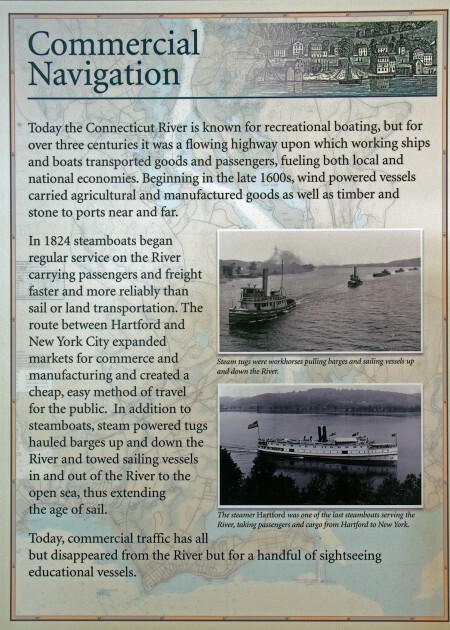 It is the largest river system in New England. Its headwaters lie in northern New Hampshire near the Canadian border, from which it flows 410 miles to Long Island Sound. Its watershed spans five of the six New England states: New Hampshire, Vermont, Massachusetts, Connecticut and small parts of Maine. During the past 50 years I have fished, hunted and hiked along this river from northern New Hampshire, where it crosses the Canadian border, through Massachusetts and into Connecticut, down to its mouth at the Long Island Sound. 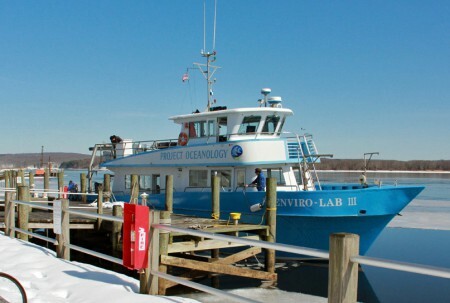 Lately, I have taken special interest in the amazing diversity of the Lower River, which begins 15 miles south of Hartford near the towns of Portland and Cromwell and then flows the final 36 miles to Long Island Sound. Within this section of the river are natural wonders that are unique to the entire watershed. Here you will find shallow coves and marshes that are separated from the mainstream by bars and levees. Upstream, the force of river flow prevents these estuary and tidal waters from developing. By definition, an estuary is an area where fresh and salt water mix. Tidal water is where the surface waters are fresh and devoid of salt water influence. The tidal relationship that this river has with the Atlantic Ocean is expressed in the name of our state. 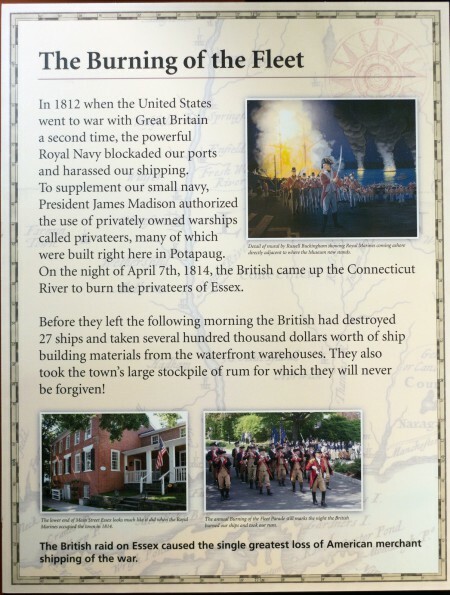 Connecticut is a French corruption of a native American word quinetucket, which means beside the long tidal river. The wetlands and waters in the estuarine complex of the Lower River contain a remarkable clustering of rare and endangered species which include geese, wood ducks, ospreys, Bald Eagles and loons. Mammals like muskrat, beaver, river otter, mink and whitetail deer are also thriving residents in this area. Migratory fish like the American shad, alewife and Atlantic salmon live and thrive here also. Native Americans have used the living resources of the river for many years. For example, bulrush and cattail from tidal wetlands have been woven into lodge coverings and mats. Tubers of water lily and many other plants provided important food items. The abundant wildlife was hunted for food, clothing and as a source for ornamental objects. The Connecticut River and its tributaries represent the best of this state’s natural heritage. 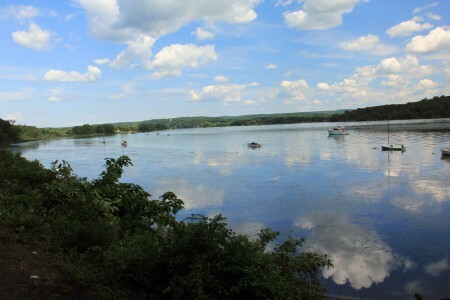 In recognition of its ecological value, the Connecticut River’s beautiful watershed was recognized as a national wildlife refuge in 1995. 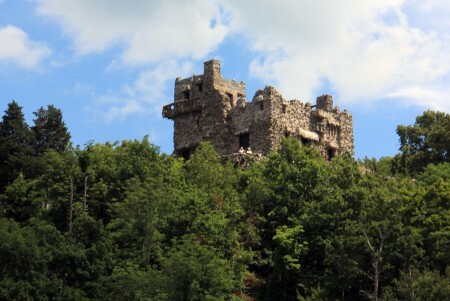 It is a treasured and popular destination for thousands of Connecticut residents and tourists who visit the river to kayak, hike, bird watch and fish. 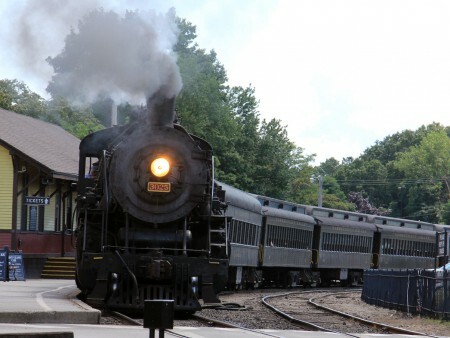 Three of Connecticut’s most popular attractions: the Essex Steam Train in Essex, Gillette Castle in East Haddam and the River Museum in Essex are close neighbors in the Lower River area. There is much to experience and photograph here all year. I plan to visit the Lower River several times over the next several months and share with you my adventures, along with plenty of photos. 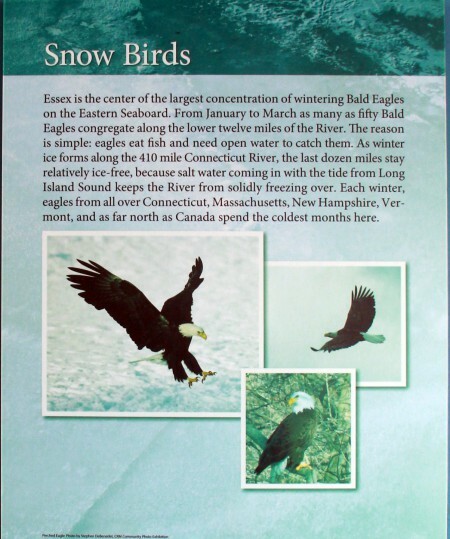 During the months of February and March, groups of Bald Eagles fly down from the frozen north to the open water of the Lower River to feed in the ice-free open water. 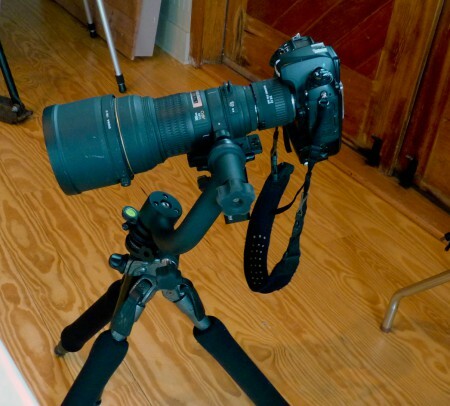 I decided to grab Ginny Lee (my camera) and see if I could get some raptor shots, and also visit the Connecticut River Museum. 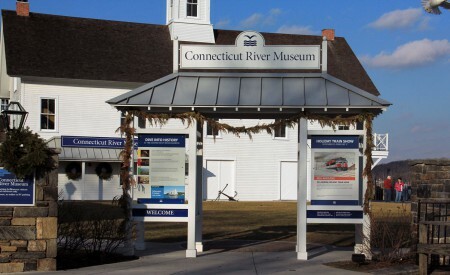 The museum is a must stop for first time visitors to the Lower Connecticut River. 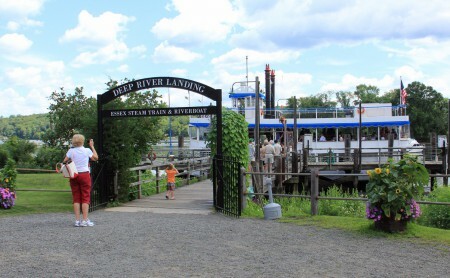 It is located on the river at the end of Main Street. Built in 1847, the building was originally a warehouse and general store. By the early 1960s, the building was beginning to fall into disrepair. 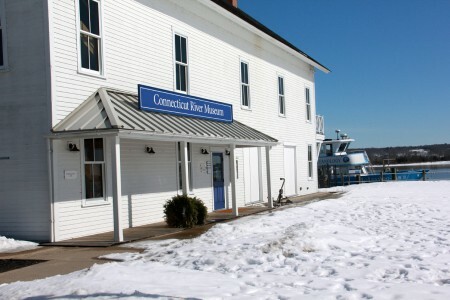 With the support of former Connecticut Governor Ella Grasso, the building was restored and opened as the Connecticut River Museum in 1975. Below is a photo of an upstream portion of the Lower River. 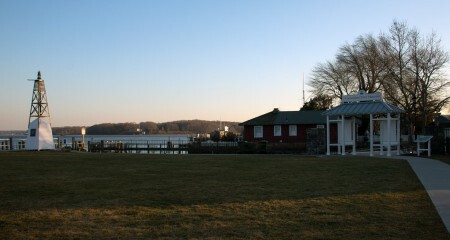 In the distance is the historic East Haddam Swing Bridge that spans the river near the Goodspeed Opera House. 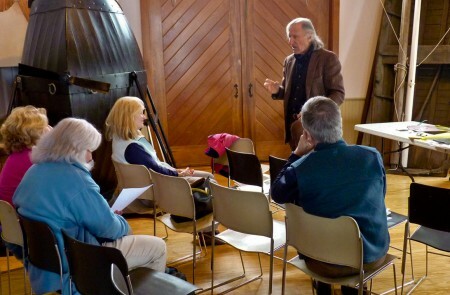 Below are photos of four prominent and popular neighbors of the River Museum. On a recent adventure to the Lower River we boarded the Essex Steam Train at Essex Station. 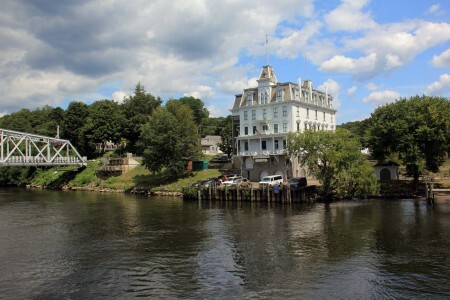 We disembarked from the train in the next town upriver at Deep River Landing, and boarded the Becky Thatcher Steamboat to continued upriver, past the Gillette Castle to the East Haddam Swing Bridge and the Goodspeed Opera House. 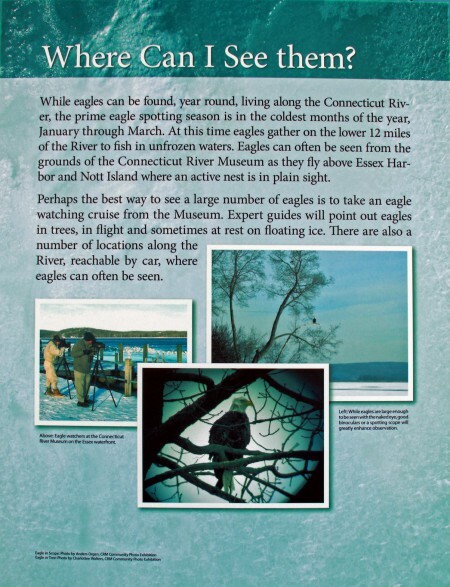 This year raptor enthusiasts and photographers are excited about the arrival of record numbers of Bald Eagles on the Lower River where open water remains, unlike the iced-over northern reaches. These majestic birds are fish-eaters, flying down from the ice-covered north to feed in open water. 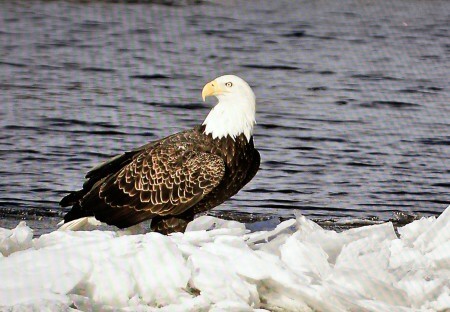 This year, the extreme ice on the Upper River and a rare die-off of striped bass at one of the river’s tributaries in Old Lime caused by extreme cold weather in January, lured more eagles than usual to this area. It is believed that shallow water conditions during low tides allowed water temperatures to drop to unusual lows causing the die-off. This is a real plus for Bald Eagles, because they are carrion eaters. They will eat dead fish with the same gusto as live fish, and will switch to fresh-caught fish in the spring when they are feeding their young. Unfortunately for me and some other disappointed eagle enthusiasts, the extreme cold forced the cancellation of two EagleWatch tours sponsored by the River Museum. In desperation, on both of these occasions, I drove up to Eagle Landing State Park in Haddam hoping to get a few prime shots from there. No luck! 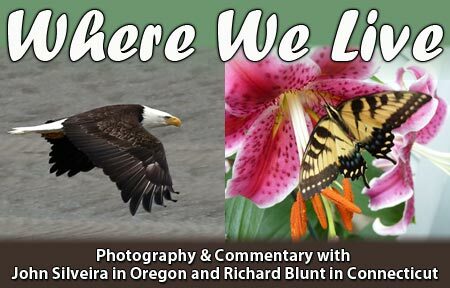 The folks at the museum informed me that professional wildlife photographer Dr. Stanley Kolber was giving a lecture at the museum on March 1st. I have recently become a fan of the doctor’s work, so I planned to attend. I was not disappointed. He discussed photography (especially bird photography) with such calm, sincere passion and enthusiasm that his obvious love of the art was inspiring. I have included a link to his website below. The museum has made a substantial commitment to the Bald Eagle. Shown below are parts of the exhibit. 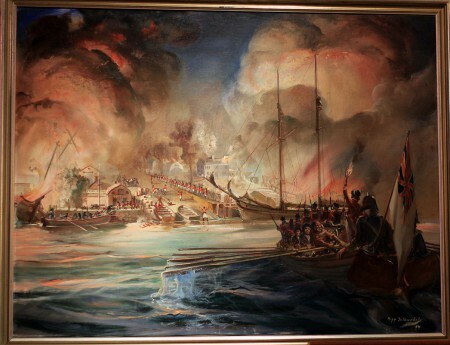 The first floor has an impressive exhibit depicting the burning of the fleet of a privateer warship moored in Essex in 1812. 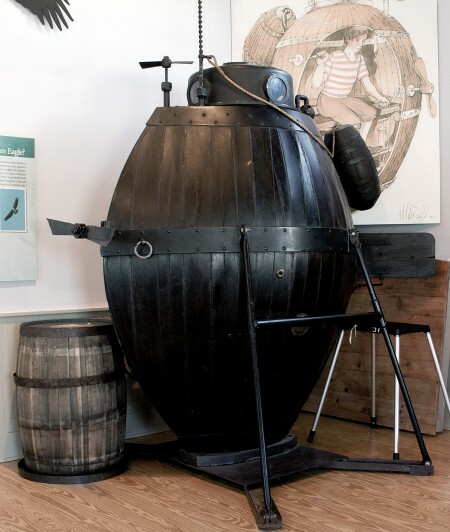 There are also two full-size replicas of the Turtle, the first American submarine, which was built in Essex in 1776 to be used against British ships during the American Revolution. 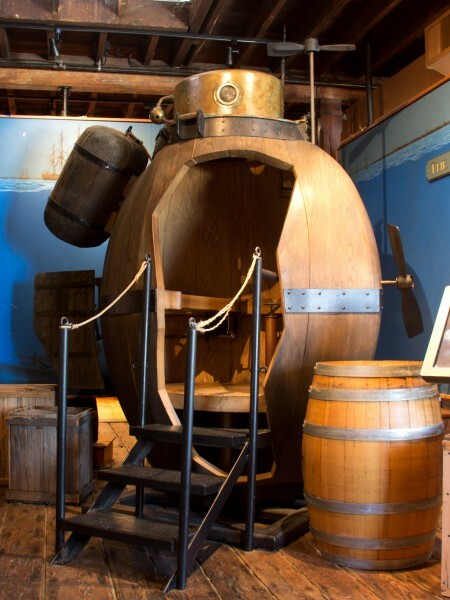 The black model is a working unit that I was told has been tested in the Connecticut River. 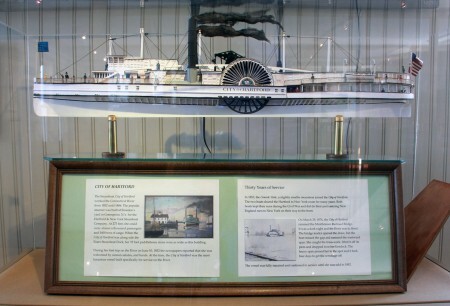 The three-story museum’s main and third levels offer changing exhibits, while the second level is home to a history of shipping and commercial boating on the river, which includes maps and models of steamships. This floor also has exhibits of the various fish species in the river. 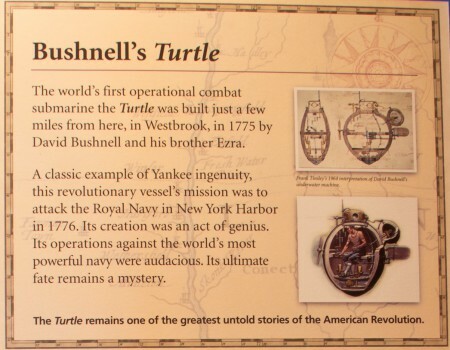 Below are examples of the commercial navigation exhibit. 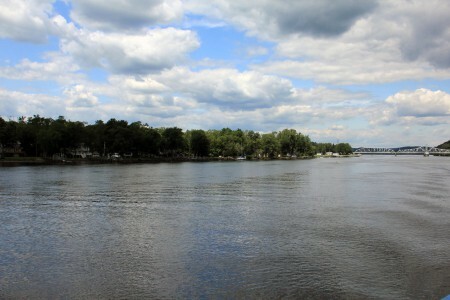 The 36-mile stretch of the lower Connecticut River consists of a group of small waterfront towns that, unlike similar communities in other areas, offer interesting and exciting adventures for visitors all year. After experiencing the wonders of the Lower River, remember, there are still another 374 miles of fun and excitement to the north.